It would be wise to consider a few different factors before buying a hotel in Bristol. For example, where to buy a hotel in Bristol and of what size will be important. Furthermore, you will need to consider all the costs involved with buying a hotel in Bristol. There are plenty of hotel class choices when it comes to buying in and around Bristol. Hotel classes like locational properties exist to buy, like seaside hotels, airport hotels and even country house hotels, which you could find in Bristol. So, when searching in Bristol, just be aware of the classes you might come across when buying. 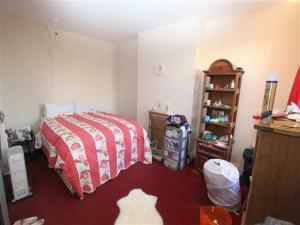 You may require additional features with a hotel in Bristol when buying. For instance, many guests appreciate having access to a swimming pool or gym during their stay. So understanding your customers' needs is important when making a decision on what hotel facilities to include. Remember to consider some costs when you're searching for hotels for sale in Bristol. For example, you should be aware of property related costs like insurance. Furthermore, solicitors fees will have to be paid, making the buying process a little pricey in itself. So make sure you consider these costs and begin browsing hotels for sale in Bristol. Before you begin your search in Bristol for a hotel for sale, you should consider what size of property would best suit your needs. If you choose a smaller hotel, your non domestic rates could be significantly lower than those charged for a sprawling property. You should also consider how many rooms you would require from a hotel in Bristol. After mulling over this decision, allow MOVEHUT to help you find a hotel of the perfect size to buy in Bristol.